Jewel is an elegant austrian valance, detailed flowers & leaves are embroidered over a satin-like fabric, finished with a quality tassel hem. Photo display shows valance hanging on a 40"W. Will look fine on windows from 35" to 60"W 100% polyester. Machine washable. Panels are also available. This Austrian Valance was the perfect size for my 50" window....I choose burgundy color to match my Victorian look and it really gave the room the needed touch. I was so very, very happy with my purchase. The valance is of quality material and looks very elegant. I have it in my office/sewing room and when my husband came in he said WOW that is a nice curtain. I was really surprised that he noticed ....so it must really make a statement. Very good value and fast delivery. ProsExcellent quality. Very good value. Fits perfect. ConsThere are no cons. This Valance is the best. It's hard sometimes to pick out window decor online. You're not sure if the colors will match up or if they'll sit right on the window you want to put it on but these are absolutely gorgeous in my kitchen. 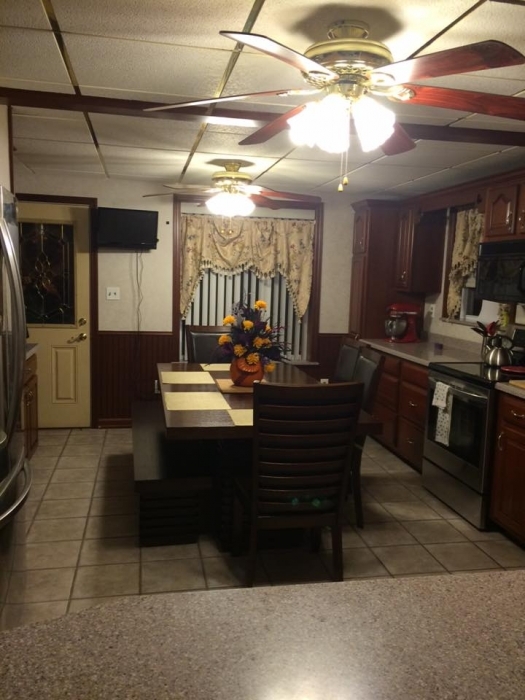 The rich colors bring more depth and warmth to my kitchen. I've gotten a number of compliments on them already. These swags are exactly as described. Maybe better! Great quality -- nice and thick. Looks great! The curtains are well made and the color is like picture on line. Very generous width and length. The material is slightly darker than pictured but with a lovely sheen. Really dresses up my formal dining room! The valance is beautiful but....one side is not sewn well. It does not hang as beautifully as what the picture shows. ConsIsn't sewn correctly on one side. I was impressed with the weight of this product. I was expecting it to be a thinner piece of fabric. The embroidery work is very nice. The valance looks way more expensive than what I paid for it. the only thing negative I have to say about it is........they have it sewn so that the valance drapes like the picture shows instead of you being able to place the where you want them also they said to order the valance 1 1/2 times the width of the window for full effect. My windows were 62" wide. I ordered 108" valance and had to have 2 valances for my windows to be able to get the correct draping because of them being presewn. i had to order another set because I needed the 2 valances for the one window. Waiting on the next set. i ordered white but the set I got was a beige. I guess we'll see what I wind up with. All in all I like them. Total experience was wonderful. Check-out was easy (love using paypal) and shipping was super fast. Beautiful curtains at a great price. Need to place another order next month. ProsPretty. Unusual pleats. Nice material. This valance looks very rich! I will have to upgrade the rest of my bedroom to match it! I am okay with that. :) The pattern is beautiful!! Matches out living room colors perfectly. Swags Galore has very competitive prices, ease of ordering online, shipping is quick and easy. Also, returns are easy and quick as well. Thanks for providing a great experience. The swags are well-made, heavy with lovely embroidered flowers. I haven't had the opportunity to hang them yet but am confident they will look great. The background color is "white" but looks more like "oyster" to me. Just what I had hoped for but didnt expect for the price. Great quality. Outstanding quality. The price was great. I compared various websites and this one was the cheapest. 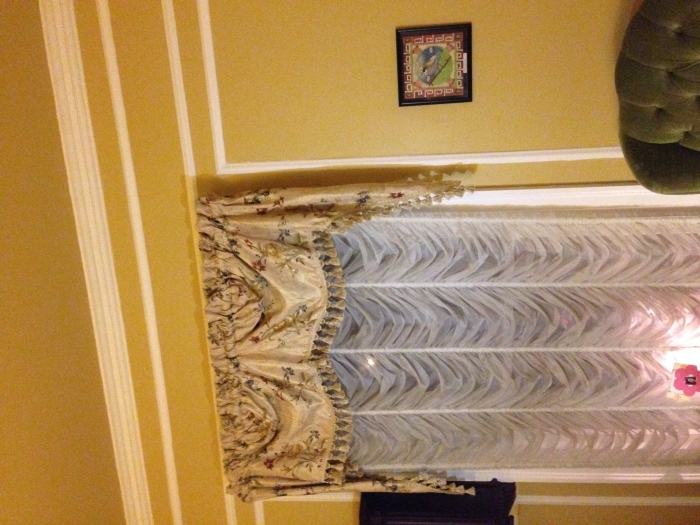 It is definitely a quality purchase and I highly recommend this valance if you want elegance. These swags are beautiful. I bought them for circle top Windows and have modified them with shirring tape. ProsFabulous price and beautiful edging and tassels. Lovely fabric, and many color choices. The Sage Green and Burgundy are very elegant! Perfect. After searching fabrics and valances I found this on another site, did a google search and came up with Swags Galore. I The price was unbelievable. Hung the Valances and arranged them and oh, they are so beautiful. I could not be happier. ProsAs described. Great price. Looks great. Product received as promised which was sooner than I expected. Love this valance, being on a budget I needed to spruce up my dining room and these valances made such a difference. The colors are radiant and the fabric very luxurious looking! It "woke" up the room I just love them! Helped me sell my house. I purchased these to perk up a room I had painted in preparation for putting my house on the market. These looked terrific. Excellent quality. And, at my estate sale they sold quickly!! I can't believe how well they are made. I would have expected to pay at lease $ 60.00 dollars for them. They look so great, I can't believe how well they match my area rug. I have gotten so many great compliments on them. 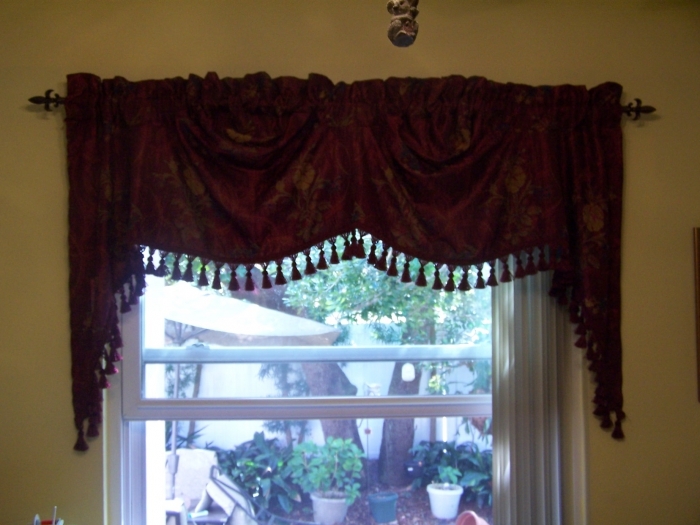 Love, love, love these valances. Color is perfect and the tassels add a nice touch. It is more than I expected. The quality is excellent and looks beautiful in my living room. ProsThe colors are vibrant and the material is great quality. Looks beautiful! ConsI just wish it was wider as my window is a little longer than what this swag was made for. but I love it just the same. Absolutely Beautiful.Made to perfection,I LOVE THEM. Gorgeous, bought a second panel to cut and sew to make wider, need to make a wider size. These valances were a great choice for our kitchen windows, they added a little class which is just what we wanted. Absolutely GORGEOUS! Unbelievable low price compared to other merchants for the same product. I am VERY pleased. So happy wirh my order valance and drapes.The material is very nice and classy and very fast shipping and affordable.Im buying more on this site.Very contented customer. The quality was even better than I expected....hang well and are absolutely beautiful! I love them....the colors are great and exactly as described. As for washing them, just from looking at them I would hand or gentle cycle. Delivery was so fast, only a couple days! This is NOT my first purchase from Swags Galore. I have never been disappointed. More beautiful than in the picture. It is a gorgeous valance. The fabric is very upscale, beautiful colors that are even more vibrant when hung. It looks lovely in our window nook in our small bedroom, Plus, it was here in two days! I just love it and would order from you again before ever going to a store or another site. I have recommended you to all my friends. Thank you. Great fabric and great service. ProsGorgeous, thick fabric, more vibrant in person, Hangs beautifully, full and elegant. Beautiful colors. I have purchased many window treatments through the years. These are top quality at regular price. You will not be disappointed. These are lovely. I have a juxtapose of style going throughout my whole farmhouse. A little bit country and Granny style cottage. I have these topping bamboo roman shades. Unique and dressy. The swags are well made, the material is of high quality and they arrived in two days. Who could ask for more? And at such a great price. I will definitely come back when I'm in the market again. ConsSome tassels fell, off by us just fluffing it up in the dryer on delicate cycle.. I was so pleased with these valances. They are beautiful!!! Also they were shipped promptly and I received them within days of placing my order. I couldn't be happier. Thank you. ProsThey were shipped and arrived promptly. These curtains are lovely. I usually wash items as soon as I receive them and followed the washing instructions on the label which said to wash on gentle cycle. Unfortunately when I opened up the washer there were tassle strings all over the place. Do not wash these curtains in the washer, they must be hand washed. The manager at Swags Galore was very understanding and replaced the curtains. ConsDo not following washing instructions on the label. Hand wash instead. Elegant design, very well made, exceptional price and fast shipping. AAA+ to Swagsgalore! Rated 4 out of 5 stars for two reasons: 1) it does not stretch to 108"W. I'm covering a 72" window and it's pulled so tight there is no swag left in it, and 2) the reverse side of Jewel is dark striped. The curtain looks as pictured off the window and at night, but in the light of day, the stripes prevail and the outstanding beauty of the curtain is muted. Neither reason is a deal breaker for me; they're just that beautiful! I will add a liner to enjoy the beauty no matter the time of day. Absolutely stunning in my kitchen! Only wished it was lined but still pleased. Easy to order and there was a large selection to choose from. Beatter quality than expected. Wonderful. They have changed my blah living room to an elegant room. These valances have transformed my entry way and living room into a space to be proud of. In fact I am planning to but 2 m ore for my dining room. very nice but not wide enough , i would of needed a wider one. I was pleasantly surprised when these curtains arrived. They are well made and were really easy to put up. They really finished off my living room. ProsEasy installation, not hard to make them look great. ConsLike other customers I agree that when the light hits them you can see the other side of fabric but its ok they still look nice. Excellent choice! Great material, easy to hang, and very little ironing necessary. This swag was very well made, beautiful material, but it didn't coordinate with my other fabrics in the room, so I had to return it. Will certainly keep SwagsGalore in mind for any other purchases in the future! I bought 10 of these valances to replace the ones I currently had hanging in my office for way too many years. The fabric is such high quality they look fabulous. I gently and only very lightly touched them up with an iron to get the folds out before hanging them. They were an unbelievable buy and I just love them! first of all the service was great got them in two days . the swags are the best material and the quality is excellent. I showed them to my mother and I had to order her some. great product and great great prices. thank you .Will shop here for all my curtains. Conscolor on back bleeds thru in the sunlight. Beautiful - they look just like the picture. I had such a good experience with Swags Galore that I have already order valances for another room. I love it and it blends great with the color and furniture in my living room. These swags are very elegant and the material is exceptional!!! If there was a 10 rating, I would give them a 10. They are elegant and beautiful. Will buy from here now always!!! Extremely beautiful!!!!! Very pretty and looks great. Excellent and even better than described! Beautiful material, quality fabric, much prettier then on line. Consreverse pattern in back. Would have preferred lined backs. The valances look just like the ones I ordered. I would order from you again. This curtain treatment, that I consider a valance, is absolutely beautiful. What you see on Swag Galore's website is exactly what you get, both in color and appearance. Delivery was also very prompt. 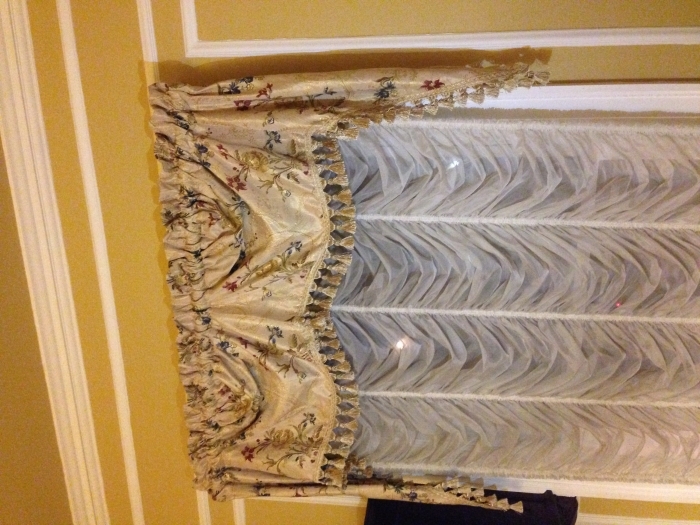 I am so happy with the Jewel Austrian Valances I recently bought. The color and look are true to the pictures on-line and they are very well made. I do wish they were lined but for the price, I couldn't ask for more. They look fantastic on my windows. Just what I had been looking for. It is very rich looking and I love it! Beautiful fabric, luster, and very well made. This was the best service I have ever encountered.. The curtains are top quality and I have been recommending ur website to everyone and some of my friends have ordered already.. I was very impressed!